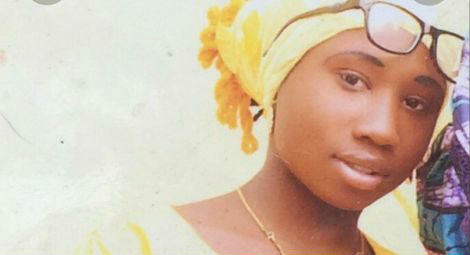 The Evangelical Church Winning All (ECWA) has called for three days of prayer and fasting for the release of Leah Sharibu. The Evangelical Church Winning All (ECWA) has called for three days of prayer and fasting for the release of Leah Sharibu, the Nigerian school girl held by the Boko Haram terrorist group for refusing to renounce her faith in exchange for freedom. Fifteen-year-old Leah Sharibu was among 110 girls abducted by the al Barnawi faction of Boko Haram on 19 February from the Government Girls Science and Technical College in Dapchi, Yobe state. Five girls died while being transported to the terrorists’ hideout and 104 were returned to Dapchi on 21 March. The returning students confirmed that Leah had been held back ‘on religious grounds’, informing her mother, Rebecca, that she had been made to disembark from the vehicle bound for Dapchi after refusing to recite the Islamic profession of faith. In a communiqué issued at the end of a four-day General Church Council meeting, ECWA President Rev Dr Jeremiah Gado called on all ECWA members to fast and pray from 27 to 29 April for Leah’s release, and urged Christians everywhere to join them. Leah and her parents are members ECWA. 15 April marked the fourth anniversary of the abduction of over 200 school girls from the Government Girls Secondary School (GGSS) in Chibok, Borno state by the Shekau faction of Boko Haram. A handful of girls escaped. Others were released following a series of negotiations, and allegedly in exchange for imprisoned Boko Haram members and significant payments. However, 112 girls remain unaccounted for. According to Ahmad Salkida, a journalist who took part in negotiations under the Jonathan administration to free the girls, 82 were killed in crossfire or bombings, and only 30 remain alive, five of whom have reportedly ‘become permanently embedded’ in Boko Haram’s ‘doctrines and teaching programs’, and have allegedly asked not to be included in future discussions on releases. An impassioned debate took place in the House of Representatives on 17 April on a motion submitted by Asabe Bashir, the member representing the Damboa/Chibok constituency of Borno state, on the urgent need to secure the release of the remaining Chibok Girls. The Speaker of the House of Representatives, Yakubu Dogara, who presided over the debate, called upon President Buhari to ensure the release of the remaining Chibok Girls and Leah Sharibu before the 2019 General Election. The ECWA communiqué also addressed the ongoing violence perpetrated by Fulani militia, rejecting terminology that describes this phenomenon as ‘farmer-herder clashes’, and insisting these attacks are ‘an expansionist mission meant to take over people’s ancestral land.’ 300 people were killed in armed violence during March, most of whom were murdered by Fulani militia and Boko Haram. From 1-7 April, 140 people died in armed violence, a third of them in militia-related attacks in Benue and Taraba states. During the week beginning 8 April, at least 51 people were killed in militia attacks in Benue, Nasarawa and Taraba states. On 18 April, the Defence Headquarters reportedly admitted that troops deployed in Benue, Taraba and other trouble spots had been withdrawn due to an acute shortage of financial and logistical resources.